Like most youth slice-of-life films, ‘Dear Zindagi’ too is about a confused young teenager. The one-line idea revolves around a psychiatrist aka Dr. Jehangir Khan (Shah Rukh Khan) helping Kiara (Alia Bhatt) to stand tall against all the internal conflicts in her life. 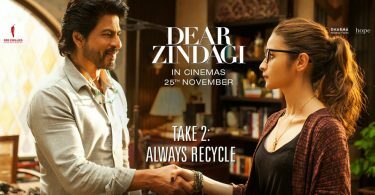 Review: There are two major issues with ‘Dear Zindagi’. The film is too lengthy for its genre and the presentation fails to establish an emotional connect with Alia’s character. You don’t feel the pain that Kiara (Alia’s character) is going through in her personal life because the screenplay is all over the place and her character is poorly written. After a confident debut, Gauri Shinde’s direction is as confused as the lead character of her film. She tries to explore the various facets of today’s youth, but fails in both. ‘Dear Zindagi’ does have some brilliantly executed sequences which include Alia’s first interaction with Shah Rukh Khan, her emotional break-down at a family dinner recalling her disturbed childhood. A few life lessons (Don’t let your past blackmail your present to ruin your beautiful future) are worth pondering over. Unfortunately, such moments are few and far in between. After a point, the film gets too preachy and tries too hard to establish the phrase ‘life is all about living those small moments’. In terms of performances, inspite a limited screen-time, Shah Rukh Khan delivers the most likeable performance in the film. He is phenomenal as Kiara’s life mentor and slips into the character with utmost ease and conviction. He lights up the screen with his charisma and screen-presence. SRK is a casting masterstroke in a film like ‘Dear Zindagi’. Alia Bhatt is brilliant in her emotional sequences and stands tall in her scenes with SRK. That apart, there is a bit of ‘Highway’ hangover in some of her scenes. Kunal Kapoor and Ali Zafar don’t get enough scope to perform, but they do well. 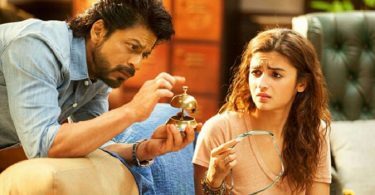 Overall, Dear Zindagi suffers because of the script and fails in an attempt to narrate ‘The Same Old Story’ in a rather ‘Hatke’ manner. The film has nothing novel to offer apart from a few life lessons by SRK. Shah Rukh Khan’s brief appearance (around 45 mins of screen-time) is the shinning point in the otherwise dull story. Few well executed sequences in the second half, which the urban youth might connect with. Alia Bhatt yet again proves that she is one of the finest actors from her generation and is here to stay. The lead character lacks depth. There are many loose ends even in SRK’s character wherein the director fails to dwell into his back story. The writing is pretty inconsistent and the prolonged run time ensures a slow narrative with repetitive sequences. The first half results in an instant disconnect with Alia Bhatt’s character, the audience might lose interest by the time the director justifies her ‘moody behaviour’. Ali Zafar as a passionate musician does nothing in taking the story forward but just adds onto the runtime. A bit too critical in my opinion. Your review. Thank u for giving perfect Review. i already given 1.5*, SRK Lost his movies choice. So KING KHAN again gave BEST PERFORMANCE but have limited screen space????Bravo!!!! Btw the year is almost ended but not a single performance came closer to THE LEGENDARY CHARACTER GAURAV CHANDNA. MOST PROUD MOMENT FOR THE SRKIANS. In the Name of “New Cinema” these directors Rehash Old Stories.. Truly Speaking I expected much more from this movie and critics rating is clear proof that the movie is not upto the expectations. Hope,It does well at the b.o & gets a Hit status. If THIS FILM WILL BE A HIT—-then lallutards will say Alia gave HIT to KING KHAN. if this film will be a failure—-FILM flopped due to KING KHAN. haters aka lallutards neither in money nor in PERFORMANCE,your 2009 born non actor will always remain below the feet of THE KING OF BOLLYWOOD. With 4* rating Content rich Fan struggled to surpass 80cr mark. Just imagine with 2.5* rating how much Dear Zindegi gonna collect at ticket window! On a serious note, we should not forget that it’s a galaxy ka sabse bada gigastar’s (who has 3.7 billion fans) content rich movie. Hence, opening day collections would be definitely 25+cr & lifetime 200+cr..
Vikas Bahl also did a blunder after a confident debut. SRK might just save this movie though. I call this BS!! Sorry Indicine but you were perhaps looking for something else. What I saw in Dear Zindagi was an honest story about a competent yet confused girl because of her childhood. It wasnt stretchy at all..
And BTW SRK screen presence is not 45 mins.. its lot less..